Our rigorous, lab-intensive chemistry curriculum will sharpen your powers of observation, foster collaboration and exploration, and cultivate the curiosity that leads to discovery. Life doesn’t get much more elemental than the atom. Understanding how one atom interacts with another has implications in human health, industrial innovation and even national economies. In other words, chemistry can improve lives, grow businesses and change the world. The curriculum will prepare you to work in industry or education. For 75 percent of St. Norbert College chemistry majors, the degree provides a first step toward an advanced degree in medicine, pharmacy, engineering or veterinary science. You may also pursue a chemistry minor oriented to either teaching or graduate work. A rigorous, lab-intensive chemistry curriculum teaches more than the forces that make or break molecules. It will sharpen your powers of observation, foster collaboration and exploration, and cultivate the curiosity that leads to discovery. We provide an abundance of collaborative research opportunities in chemistry – many supported by national grants. As an undergraduate chemistry major, you can also apply to serve as a chemistry professor’s lab assistant in a 10-week summer research program. A number of scholarships support undergraduate chemistry education based on both need and merit. Chemistry majors also may opt to study abroad. Programs on several continents both meet course requirements and expose you to another culture – an experience prospective employers value. 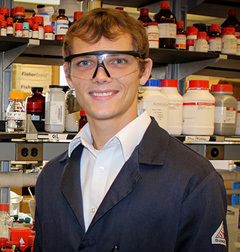 Ian Klein ’10 is included in the Forbes 30 Under 30 list for his groundbreaking work turning wood into high-value chemicals and fuels. One tree on campus seems to not know the season. 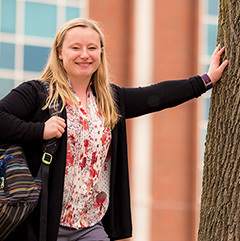 A pair of St. Norbert researchers hope to find out why. This chemistry major picked up an MBA well into his 70s and continues to stay abreast of developments in his industry. 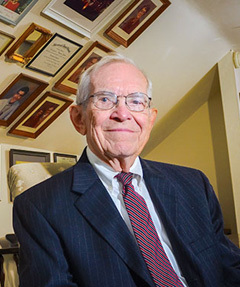 Vince Zehren ’48 truly deserves the title, lifelong learner.